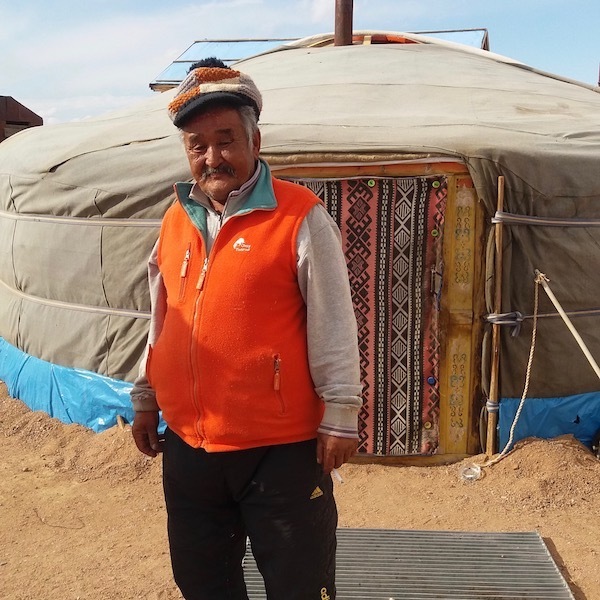 Accountability Counsel works with Oyu Tolgoi Watch (OT Watch) and several international partners to support some of the world’s last remaining nomadic herder communities living in the South Gobi region of Mongolia. We have assisted communities to raise complaints about large-scale mining ventures endangering their water resources and livelihoods. The specific mining projects are the Oyu Tolgoi Copper and Gold Mine (OT Project) and the Ukhaa Khudag Coal Mine, which are both operated by Energy Resources LLC’s at Tavan Tolgoi. In 2013, local herders filed a series of complaints to the European Bank for Reconstruction and Development’s (EBRD) Project Complaint Mechanism (PCM) raising concerns about pasture fragmentation, dust, and other impacts from the growing network of roads and infrastructure associated with both the OT Project and Energy Resources Mine. In early 2017, the PCM released two separate compliance review reports finding the projects in compliance with EBRD policy. The reports’ methodology was flawed, and they entirely failed to address the serious harm reported by complainants. 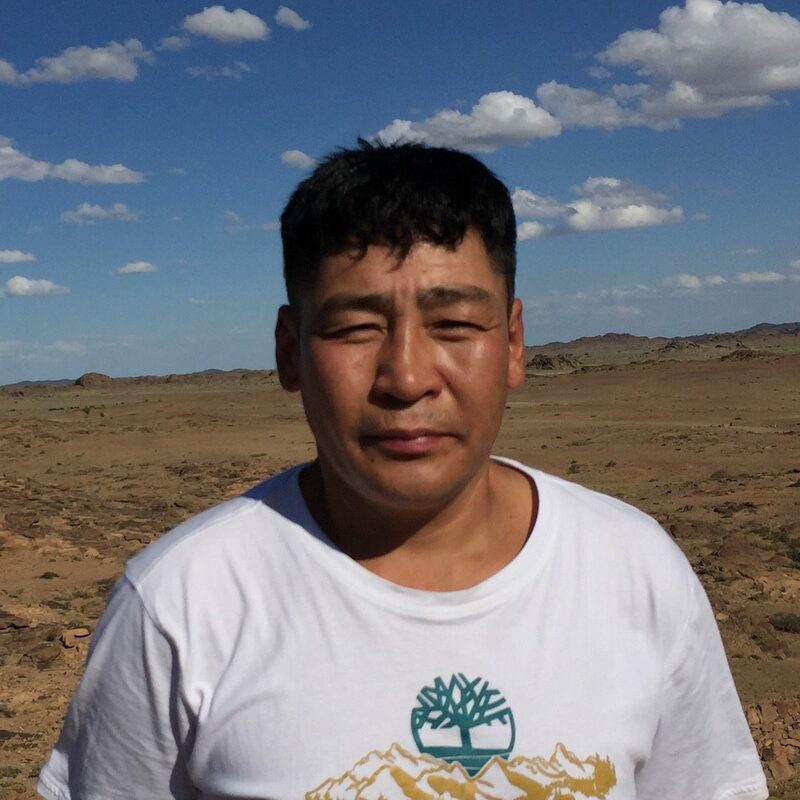 Herder testimonials – even those that were substantiated by an independent report commissioned jointly by the herders, Oyu Tolgoi LLC, and the local government – were left out of the reports entirely. Accountability Counsel and other partners who witnessed similarly unprofessional and flawed findings from the PCM launched a policy advocacy campaign to ensure that compliance reviews would reliably assess social and environmental performance of EBRD projects and that all complainants would receive fair and equitable treatment of their claims. The Energy Resources, LLC coking coal mine and the Oyu Tolgoi (OT) copper and gold mine operate in a remote, arid part of the Gobi Desert. To access enough pasture and water, herders in that area have traditionally moved their animals across wide areas of land. The two mines have seriously disrupted those traditional movement patterns due to an expansive network of infrastructure, including roads, airports, transmission lines, quarries, and a planned railroad. The Ukhaa Khudag Coal Mine is located on a section of the world’s largest untapped coking coal and thermal coal deposits, the Tavan Tolgoi. The mine is operated by a Mongolian company, Energy Resources LLC, and is commonly referred to as the “Energy Resources Mine.” Most of its coal product is shipped overland to the Chinese border, which has led to the gradual development of a sprawling web of mining roads. These roads range from paved roads to informal dirt roads intersecting each other and multiplying by the day. These roads and other project infrastructure have led to severe fragmentation of herders’ pastures, excessive dust, and unsafe road conditions, which have subsequently resulted in fatal traffic accidents and other concerns over herder and animal health. The $13.2 billion OT Mining Project, operated by Rio Tinto, is one of the largest copper mines in the world. Similarly to the Energy Resources Mine, the infrastructure and construction related to the OT Project is fragmenting herders’ traditional pastures, forcing some of them to abandon their herding lifestyles. The mine has displaced herders from more than 50,000 acres of pastureland and degraded additional areas. Both the Energy Resources Mine and OT Mine have received financing from the EBRD. With support from Oyu Tolgoi (OT) Watch, CEE Bankwatch, and Accountability Counsel, local herders filed a series of complaints to the EBRD’s Project Complaint Mechanism (PCM). Herders alleged that cumulative impacts from both the OT Project and Energy Resources Mine infrastructure – including destruction and fragmentation of pastureland, a rise in animal road deaths, and other health and safety impacts from project-related dust billowing through the windy desert terrain – have hindered their ability to continue their traditional livelihoods. In December 2014, the complaint was found eligible for a full compliance audit. The PCM sent a team to the project site in August 2015 to investigate the case and witness the issues described in the complaint. Accountability Counsel lawyers traveled to Mongolia to assist the herders during this visit. In February and March 2017, the PCM released separate compliance review reports on the Energy Resources and Oyu Tolgoi mines. Herders were shocked to find that the two reports do not discuss the personal experiences or other information they had relayed to the PCM Expert during the site visit. A single example illustrates the issue well: During an August 2015 site visit, a herder tearfully told the story of her only child drowning in an un-reclaimed quarry that had been used by the Energy Resources project. The quarry remains un-reclaimed to this day and continues to present a risk of further accidents. Despite the tragic nature of this incident, the report fails to so much as acknowledge this testimony or mention that this type of harm is a concern to complainants. Focusing on a review of the ESIA and other project documentation produced by the mining companies and the Bank, the Reports found the EBRD to be in compliance with its policies on all counts. This result not only contradicts the herders’ own experiences with the two mines, but is also difficult to reconcile with an independent report released in January 2017 on the OT Project that vindicated herders’ concerns. Accountability Counsel and other partners who witnessed similarly unprofessional and flawed findings from the PCM launched a policy advocacy campaign to ensure that compliance reviews reliably assess social and environmental performance of EBRD projects, and that all complainants receive fair and equitable treatment of their claims. Bank Information Center partners with civil society to promote social and economic justice and ecological sustainability in developing countries. CEE Bankwatch Network monitors the activities of international financial institutions in Central and Eastern Europe. The London Mining Network is an alliance of human rights, development and environmental groups that pledge to expose the role of companies in unacceptable mining projects. Oyu Tolgoi Watch is a Mongolian NGO that monitors compliance with national and international laws on behalf of the Oyu Tolgoi investment agreement. Urgewald is a German NGO that advocates for environmental and human rights by campaigning against the financial sector. The PCM released a separate Compliance Review Report on the Energy Resources mines. Herders were shocked to find that the Energy Resources report, along with the March 2017 OT Mines report, did not discuss the personal experiences or other information they had relayed to the PCM expert during the site visit. Focusing instead on a review of the ESIA and other project documentation produced by the mining companies and the Bank, the reports found the EBRD to be in compliance with its policies on all counts. The PCM released a Compliance Review Report on the OT Mines. Oyu Tolgoi LLC, the herders, and the local government jointly commissioned an Independent Report to answer questions about the OT Project’s impacts on the surrounding environment – especially on herders’ pastureland and water supplies – and on their ability to maintain traditional herding livelihoods despite the many changes brought on by the OT Project. The report also includes recommendations to address the issues identified in the report. The PCM sent a team to the project site to investigate the case and witness the issues described in the complaint. Accountability Counsel lawyers traveled to Mongolia to assist the herders during this visit. The PCM released an Eligibility Assessment Report finding the complaint related to the OT Project ineligible for a problem solving initiative because OT had refused to participate in such a process. The PCM released an Eligibility Assessment Report finding the complaints related to OT and the EBRD to be eligible for compliance review. Oyu Tolgoi Watch submitted a supplemental complaint to the PCM clarifying and elaborating on the concerns herders wished to raise. An international coalition of organizations, including Accountability Counsel, published a critique of the April 2013 Oyu Tolgoi Audit and Operational Management Plans. Mongolian herders filed a complaint to the EBRD’s accountability office, the Project Complaint Mechanism (PCM) raising concerns about pasture fragmentation, dust, and other impacts from the growing network of roads and infrastructure associated with both the OT Project and Energy Resources Mine. U.S. representatives on the World Bank and EBRD Boards of Directors released the U.S. Position statement on the OT Mine. This statement explained their decision to abstain from voting for the project and cited concerns that the ESIA was inadequate. A coalition of NGOs sent a joint letter to European Bank for Reconstruction and Development (EBRD) President Sir Suma Chakrabarti expressing ongoing concerns and recommendations regarding the OT Project. Accountability Counsel, along with OT Watch, Urgewald, CEE Bankwatch, London Mining Network, and Bank Information Center, released a critique of the OT Project Environmental and Social Impact Assessment (ESIA) entitled A Useless Sham. U.S. Agency for International Development (USAID) released a Trip Report documenting environmental and social problems with the Oyu Tolgoi Project (OT Project). The PCM’s approach to investigating compliance in these types of cases starkly contrasts with that of other accountability offices at peer financial institutions. The Oyu Tolgoi and Energy Resources compliance reviews, along with a string of other recent cases, have brought to light structural problems at the PCM that continue to lead to inconsistent investigation practices and outcomes. These cases have prompted a policy campaign to ensure future complainants can rely on the PCM to investigate their claims thoroughly and fairly. Read more about the PCM’s problematic approach to these investigations on our blog.